The FBI calls its report of a given interview a “302.” This Luddite insistence on a written summary in the age of easy voice recording opens the door to all manner of misinterpretation. In the case of the 302 that recreated the initial interview with Lt. Gen. Michael Flynn in January 2017, that misinterpretation may not be innocent. To have any value, a 302 must be prepared within five days of the actual interview. That is FBI protocol as well. Last week, when Judge Emmett Sullivan ordered the Robert Mueller legal team to turn over the 302 for the Flynn interview, however, Mueller produced a 302 prepared seven months after the interview. As Sidney Powell observes in the Daily Caller, there is ample evidence in the infamous Lisa Page-Peter Strzok texts and in the most recent Mueller filing that the FBI had prepared a 302 in a timely fashion. Strzok, in fact, conducted the original interview. That original 302 apparently has been lost or destroyed. In fact, the CIA built its infamous “zoom climb” animation around a fully imaginary second interview with Mike Wire, “the man on the bridge.” In Wire’s case, no second 302 was put in his file, but someone did put counterfeit 302s in the files of other two key witnesses. 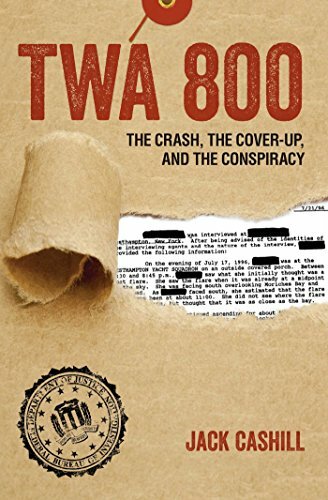 FBI Witness 32, Dwight Brumley, a U.S. Navy master chief, was looking out a right-side window on USAir 217, a plane heading northeast thousands of feet above TWA 800’s path. As recorded on his original 302, Brumley told the FBI he saw a flare like-object moving from “right to left,” very nearly perpendicular to the path of TWA 800. In a later presentation to officials from the FBI and CIA, CIA analyst Randy Tauss insisted that Brumley “observed flare ascending which moved left to right” (italics added). Careless or reckless or both, authorities left Brumley’s original 302 filed in the NTSB docket and manufactured a new one with the original date for his CIA file. It was only after the CIA file surfaced that the fraud became obvious. FBI Witness 73, who has requested anonymity, may have been the best eyewitness of all. On July 17, 1996, Sandy — not her real name — was visiting friends on Long Island. They were relatives of her fiancé who was working in New York City. That evening Sandy and her two friends drove to a beach near the Moriches Inlet on the South Shore of Long Island. Just a few minutes after sunset, the FBI would report in its original 302, “She observed an aircraft climbing in the sky, traveling from her right to her left.” This would have been from the west, JFK airport in New York City, towards the east, eventually Paris, the original destination of the ill-fated 747 with 230 souls on board.